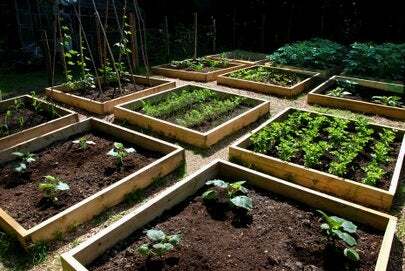 A little garden design and planning before you spend any money or pull on the gloves can give you a better garden every year… without breaking the bank. Start by making a sketch of your yard, using different colors to indicate sunny and shady areas. Take one section of the yard at a time, and determine how it’s used and what the soil and weather conditions are. That’ll tell you what you can plant here. Only then should you think about what you’d like to plant here. Think in terms of the view from the windows, the view from the street, and a coherent color scheme that doesn’t have everything blooming at the same time. Transplant anything that wasn’t successful the year before to a better spot, and then your sketch will tell you how much you really need to buy to complete the picture, without overbuying. The planning gets easier if you have a garden journal from previous years to refer to, so start one this year and watch your garden, and your savings, improve!